The quality and dedication of the Gaelic staff at Tollcross Gaelic Nursery and Tollcross primary School, and the pride the children take in being part of the bilingual Gaelic community result in excellent achievement and high motivation in all areas from the outset. Entry into Tollcross nursery is from age 3. Some parents choose to not enrol their children until P1. Both routes are effective in delivering all the benefits of Gaelic-medium education, and children quickly settle in. Children are accepted up to the P2. Located within the Tollcross Primary School building on Fountainbridge, the nursery provides 2 ½-hour sessions conducted through Gaelic mornings and afternoons, Monday to Friday. Staff are friendly and highly experienced in introducing Gaelic through educational play activities. The bright and welcoming nursery accommodation is equipped with an large range of educational play items, books posters, etc. The school and the nursery are well integrated: nursery children participate in concerts, nativity plays, local Mòds and other events, and transition from nursery to primary is smooth with classroom visits arranged. All children are entitled to 5 free morning or afternoon sessions. The scheduling depends on age and other factors. It is best to discuss this with staff at an early stage. Wraparound care is provided through Gingerbread who also run an after school club for primary children. Additional morning or afternoon nursery sessions can sometimes be purchased. Tollcross Gaelic Nursery Office: 0131 229 7828. Tollcross Primary School is a Council school that has been providing quality Gaelic-medium education since 1988. Any child from Edinburgh and the Lothians is entitled to a place in the Gaelic stream at Tollcross. Within the Gaelic stream, all subject areas are taught through Gaelic up to P7. English reading & writing are introduced from P3. As with English-medium schools, additional languages are taught in the upper years of primary. The school seeks to ensure that it is always using the best, tested, teaching methods, and staff continually train and attend national educational conferences and courses. Performance statistics are not officially published for Gaelic-medium students as a separate group, but attainment levels are extremely high. Children particularly benefit from a superb year-round programme of diverse and enjoyable extra-curricular activities and excursions. Many of these are through Gaelic, such as the Ball-coise na Cloinnefootball club that meets weekly after school. The staff engage at all levels with children to ensure that each receives the best education possible, and that the school represents a caring and encouraging environment. As with any quality school, a child requiring additional help with a particular area will receive this, and children with particular aptitudes are given opportunities to explore and develop these. Tollcross Primary School Office: 0131 229 7828. To register your child, or to find out more, contact Tollcross Primary School and Nursery on 0131 229 7828. Come and see Tollcross Primary and Tollcross Gaelic Nursery for yourself. Head teacher Kenneth Neal will be more than willing to show you round. School review reports are also available. In addition, you can arrange you to speak to parents of children at various stages of Gaelic education. Contact: 07729 307 487, or parents@Gaelic-Edinburgh.net. 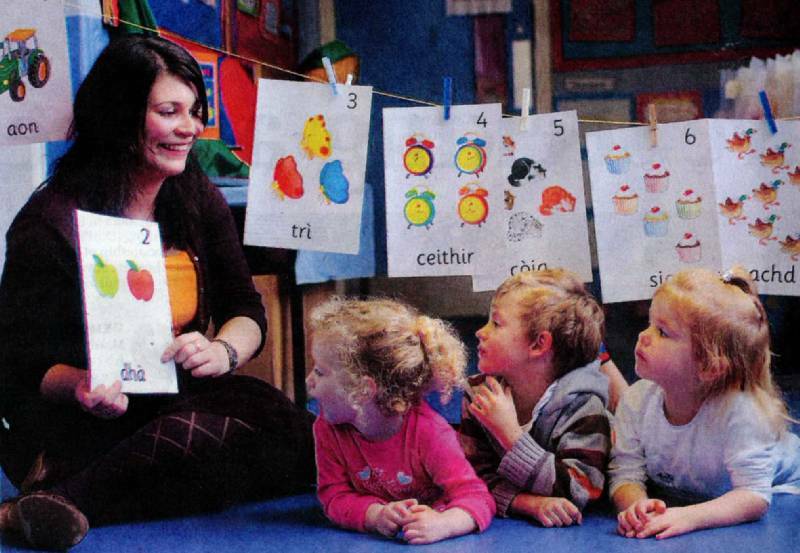 Application for Gaelic nursery can be made up until your child starts primary school. For the earliest possible start at age three, register as soon as your child turns two. Application for Gaelic-medium primary school education at Tollcross should be made during enrolment week in late November if your child was already three by the last day of February of that calendar year. All applications will be accepted in normal circumstances. Late requests may be considered.